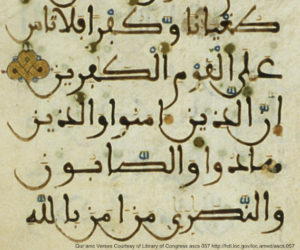 Arabic Calligraphy combines writing (known as خطّ in Arabic, or “khatt”) with art. The Arabic word خَطّ (khatt) is derived from the term for ‘line’, ‘design’, or ‘construction’. It is an appropriate name, because one of the most striking features of the script is its use of lines, whether flowing with sweeping curves, or bold and angular. 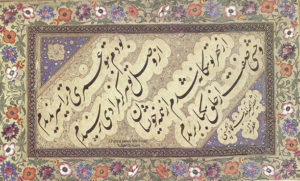 Over the years, various forms of calligraphy developed. Each form is recognizable as a distinct script, with a unique look and defining characteristics. 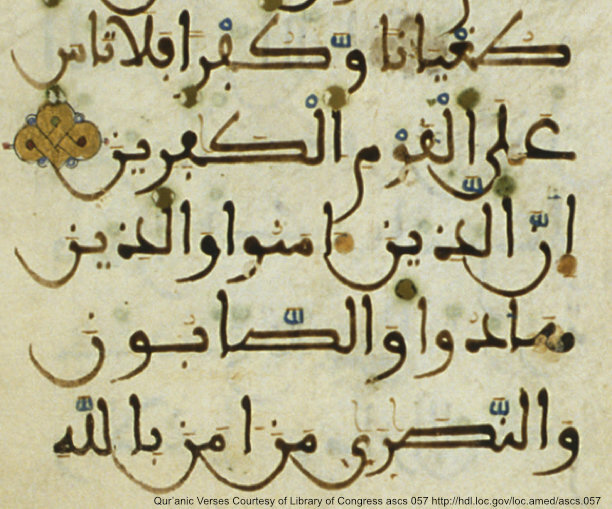 By understanding these defining features, you will be able to recognize the different styles of Arabic script. Each form was developed for different purposes and needs. Religious texts needed to be solemn and clear. Poetry called for a flowing shape and form for expression. Government documents required a written form that was difficult to counterfeit. A form of fast handwriting developed for taking notes. All of them follow the basic structure of the Arabic alphabet, but are uniquely adapted for specific contexts. 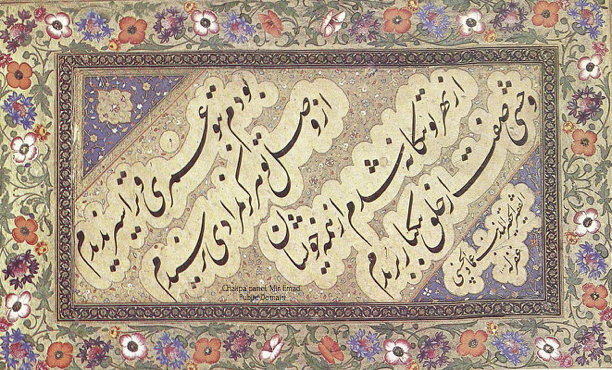 Arabic calligraphy has an incredible allure for me. 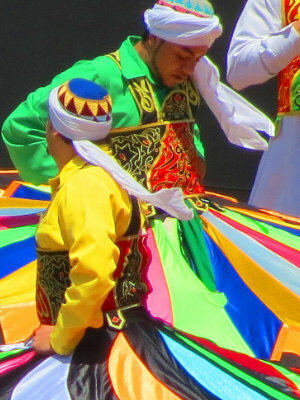 My fascination with the different Arabic scripts has come about from the intersection of several important areas of my life – living in Egypt, learning Arabic, enjoying art and history, and teaching courses about communication. I put together this 17-page introduction to Arabic Calligraphy and Scripts to give an overview of the various Arabic styles of writing, with their stylistic features and a few historical notes. 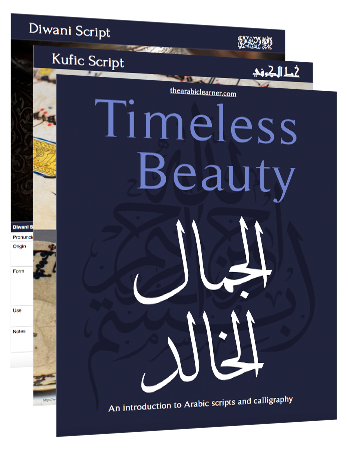 It is intended as a very simple start for those who find Arabic or Islamic art and writing interesting. A seventeen-page summary, sent to your inbox, discussing the 8 main styles of Arabic calligraphy and their defining features, as well as 4 steps to learning Arabic calligraphy. You'll get immediate access to the PDF. You will also receive be subscribed to the "10 Day Arabic Calligraphy Challenge", where you will receive one picture of Arabic calligraphy each day for 10 days, to try to identify the style. I am a teacher, and because of that I can’t just give you a PDF, without giving you a way to put that knowledge into action. That’s why I’ve put together the 10 Day Arabic Calligraphy Challenge. 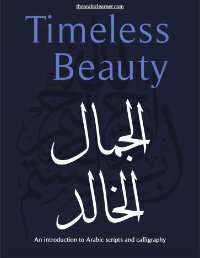 It starts when you sign up to receive the Timeless Beauty PDF. Each day for 10 days, I will send you a real sample of Arabic script in use. All you need to do is identity what type of script it is. There are 8 different types shown in the Timeless Beauty guide. It will be one of those 8 types. b. Scroll down to the bottom of the email, where you will find the answer. Check and see if you got it right. You don’t have to get the answer right. You just have to try. That’s how you learn. At the end of 10 days, if you have made a real attempt each day to identify the sample (whether or not you got the answer correct), then you have succeeded! Send me a quick email (you can just reply to one of the 10 Day Challenge emails), and I will add your name to my Arabic Calligraphy Challenge Wall of Fame below. We’ll use the honor system, so be honest!